In a Nutshell...: Flipping Over Flipsville Originals! I have been so psyched to share this outfit with my blogger pals. 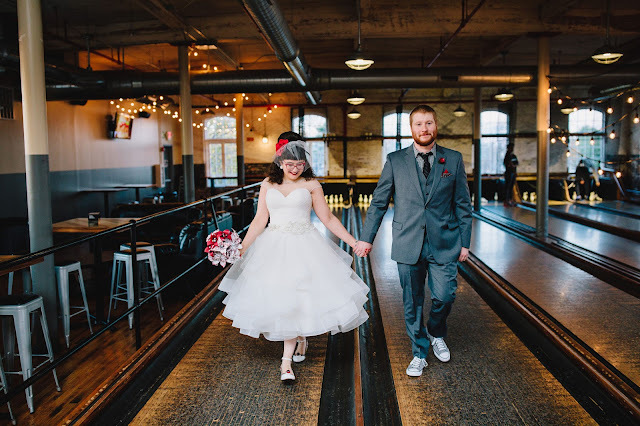 Amanda from Welcome to Flipsville has started her own clothing line and online shop! This was so exciting for me since I always admired her sewing skills whenever she posted her "His & Her" blog posts featuring her hubby, Mamoru, and herself in matching outfits - made by her! This girl's got skills, I tell you! When she announced she was starting a line and opening an online shop (as well as selling her line in a boutique or two), I was so happy for her. I was also happy for myself because - hello! - I could now order something from her! It didn't take me long at all. Recently, I ordered myself a skirt off her shiny new site, Flipsville Originals - this Ellie Circle skirt in the Atomic Starburst print. I had seen this skirt on Amanda on her blog before and was so infatuated with it. Needless to say, I was pumped to see that she was including it in her line! Hooray for me! Upon receiving the skirt, I was so beyond impressed with her work. The quality is out of this world (I received this skirt without one single wrinkle. NOT ONE!) and the details she puts into her work is perfection. The waistband is nice and thick and has two black buttons by the zipper - they're just precious! You can tell that it was truly made with love. For those wondering, it rates a top 10 on the twirl-ability scale! Now that I've styled the skirt once (I can see so many variations for this beauty!! ), I think I already know what I will wear it for - my co-worker, Jenn, and I are heading to Vegas in a couple weeks to execute EMC's booth at NAB, a media and entertainment trade show. It's one of the biggest shows that we sponsor and Jenn and I decided to celebrate the last night of the show right - by seeing Britney Spears! 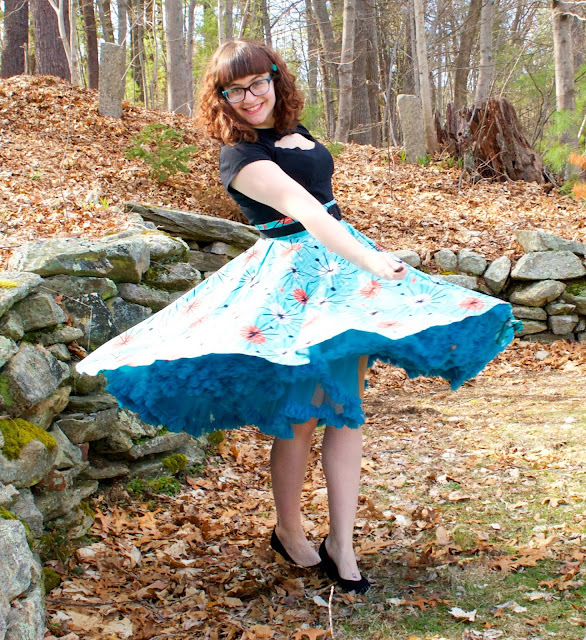 Could there be a more perfect even to rock this awesome rockabilly skirt? I think not! Amanda, if Britney spots me and asks me where I got my skirt, I'll be sure to send her your way, girlfriend. I cannot wait to see what's in store for Amanda and Flipsville Originals! Her halter wrap tops are insanely cute and her dresses with their sassy collars are just downright amazing. I want them all, specifically, the sewing machine covered halter top. Hello, adorable!! The twirl-ability looks phenomenal! I love how you styled it too! That skirt is so cute! I love the print; it reminds me of the Jetsons, for some reason! I LOVE the little flower in your hair and the top you paired with it; you look perfect. 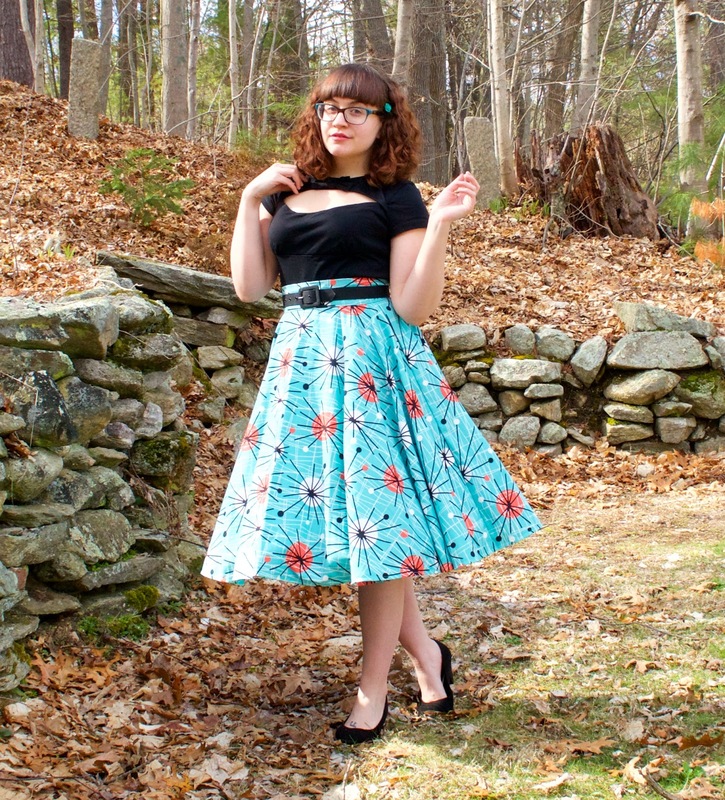 It's funny to see this just now; you probably saw my post in Modcloth BST about making skirts to sell, and suddenly I feel like quite a few bloggers have opened their own shops to sell stuff! I need to get on it STAT. YAYYYYYY!!!!! You are the SWEETEST LADY! Thank you soooo so so much (x1000000) for featuring this skirt and writing such kind words!! You look soooo great in this skirt I also love that top, where did you get it?! I can't believe you're going to wear it in Vegas to see Brittany, that will be awesome!! Hey girl heeeyyy! You're so welcome! The top is from LindyBop! They have them in a few colors/styles. What a fun print! She's really very talented, I'll definitely have to check out her line. I'm really digging the cutout top with it, it definitely works with the atomic age feel of the skirt. I am loooving this skirt! It is so cute - the print is magnificent and the style is just perfect. Just the kind I like, big and twirly. You look absolutely gorgeous in this outfit. I'm checking out her stuff! Have a great time in Vegas. So fabulously cool! Amanda's creations are off-the-charts awesome looking and really, really sign with the toe tapping era they emulate. 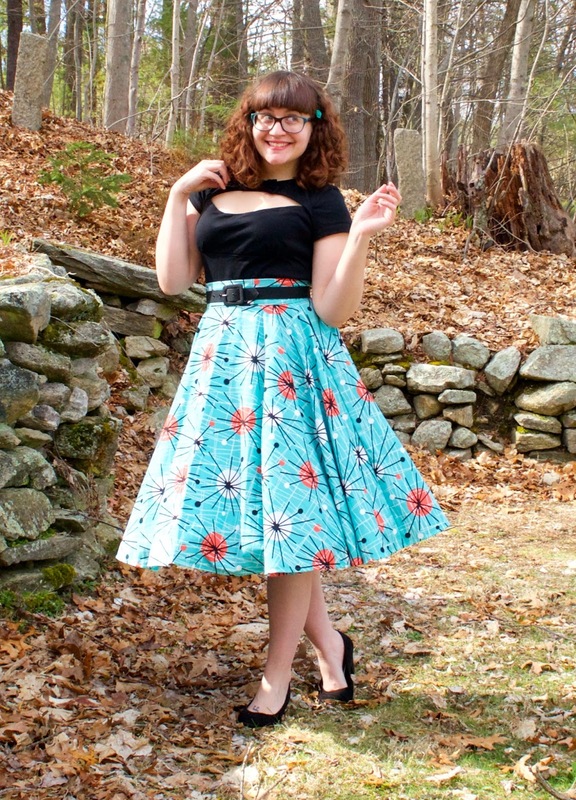 You look fantastic in the atomic print, and I love that the skirt is high-waisted. I'm going to have to check out her shop! Double Date Day in NYC with Anna & Florian!